At a first glance, it looks nice and sophisticated, but we soon found that as far as usability goes it was not that great. Essential links such as contact information, ordering, policies, money back guarantees, testimonials, F.A.Q, free inquiries, and the range of services offered were scattered. They seem to be more into the heavy sell, with several big “Order Now” buttons located on the home page. Academic level, number of pages, urgency, and type of paper needed greatly influence the pricing, although we found them to be expensive in any case. 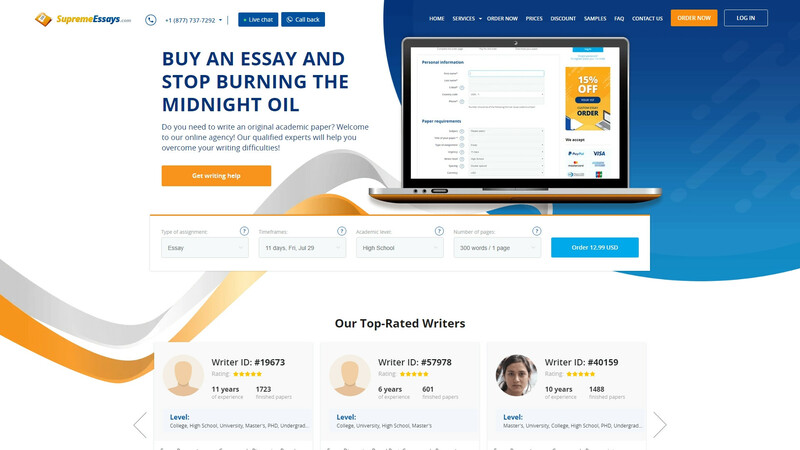 Prices range from $20 to $41 for just one, 275 word page. For undergraduate academic level, it costs $31 with a deadline of 7 days. Discounts are offered for larger offers and repeat customers. A 24/7 phone support is offered but accessibility was unreliable. It is difficult to reach anyone from the company at all. The on-line chat is technically efficient but not human friendly. Customer service representatives are neither helpful nor polite. They just closed our conversation without any apparent reason. E-mail notifications function well but that is just about it. Overall, we found that the customer support service simply isn’t efficient enough to beat those tight deadlines that many students will face. 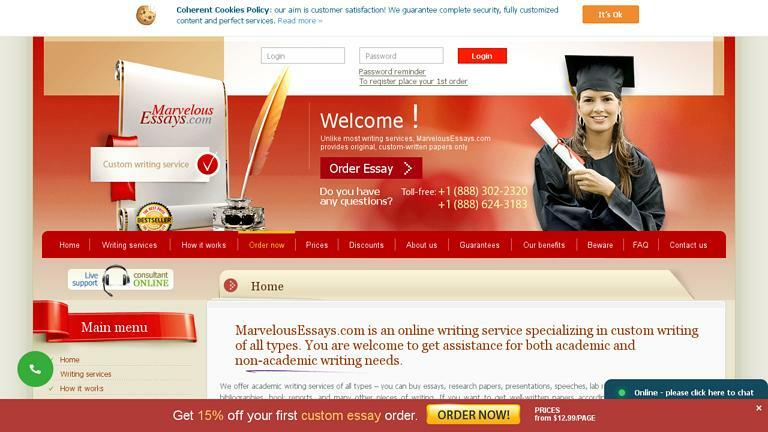 Writing services are offered for Undergraduate, Master’s, and PhD academic levels. However, we found that the quality of writing does not differ between the three, only the prices did. Despite their promises of high quality writing, we found numerous wrong spellings and many instances of poor word choice recurring through the papers we ordered. The prices they charge do not conform to the quality of the delivered product. The time needed to fill out the order form depends on what you need, but we found this was fairly efficient and user-friendly. Generally, SWREG is used for the payment system. Paypal is available along with several other payment methods. We encountered no problems in ordering or having our payment processed. For the prices they charge, we felt that they were quite unprofessional. The writers’ quality is clearly not up to scratch as several revisions were needed before the paper was acceptable. In addition, the support system was not that great – ultimately we had to email them and they responded in 12 hours. Lastly, the website itself is disorganized and needs rearrangement. It is not very user friendly, and consequently takes time to find the information you need. Tool to calculate the price on the basis of your details. How does the service ensure quality. 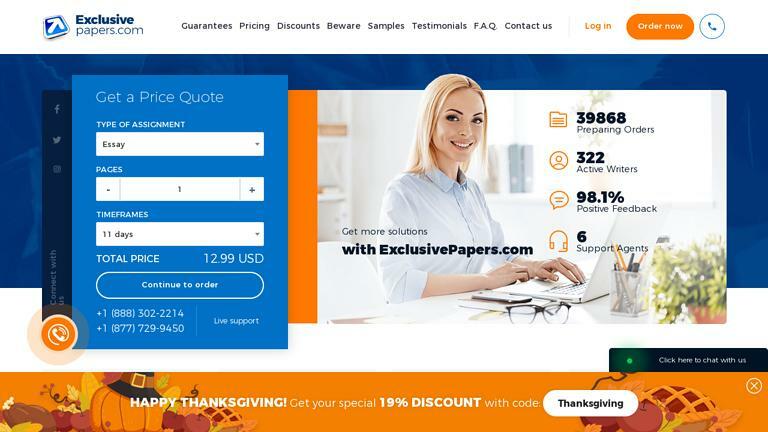 Permanent discounts you get upon ordering certain quantity of papers. Special offers for seasonal occasions. Exclusive one-time discount on the first order. Special benefits for loyal customers. Opportunity to contact the support team instantly and 24/7. Are there any partner programs. Unreliable. I expected the higher grade for my article review. You better hire more qualified writers. You deserve one or two stars for being polite in the chat. The writing quality was dreadful. So disappointed. The paper I got was horribly written, its level is just not reaching than expected at the MBA level. I need a response paper written by Professionals. But all I can say is that your writer didn't read the book. I am not satisfied with the result, so I've asked for the free revision and rewriting. Maybe someone else could do it better? I contacted you when I was on the exam. Sad, you did not manage to help me ASAP. It was a waste of time. This site is too complicated to use and what's more my ordered paper has many mistakes. So, I used to explain my professor why my work was so bad. My paper was delivered on time, but I didn't like it at all, it was poorly written. I wanted to check it for plagiarism and the online program detected some. Pay attention to it. Challenging but not impossible. Thanks, I hope the next time I will do it by myself. I used to have a good experience, but this time it's really unfortunate to see the outcome of this paper. The paper had plenty of errors and the content didn't really match with the topic. I would never use this site again. This was a waste of my time here. Thanks for your help with my academic studies! I have finished my final semester and received A's on every paper that you've written for me. I have now completed my degree. Claim your business and manage your reviews for free. 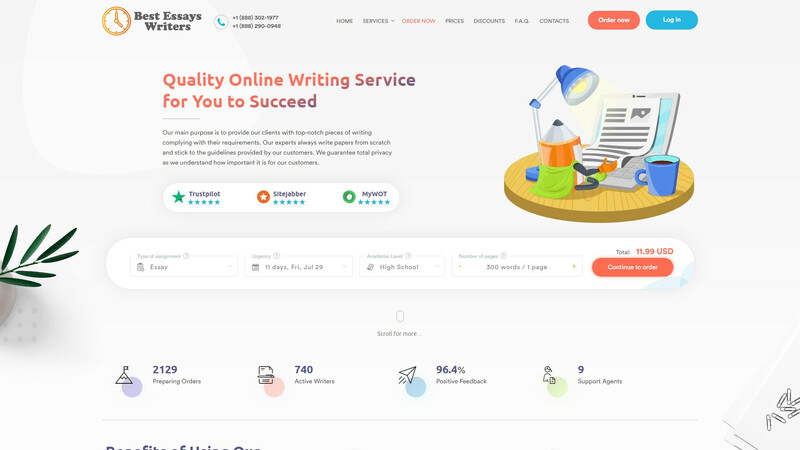 The administration of EssaysReview does not bear responsibility for the content of reviews on our website, because all these reviews are posted by visitors and they express their own viewpoints and tell about their own experience. But also we keep a record of reviews. We are interested in business relationships with every company from our list.  We do not turn down somebody`s request to review their site. Any visitor of the website can submit a review via email and it may be published even if this website is reviewed by us. Please feel free to put your review of our writing service on the net and we will publish it after our experts look through them.